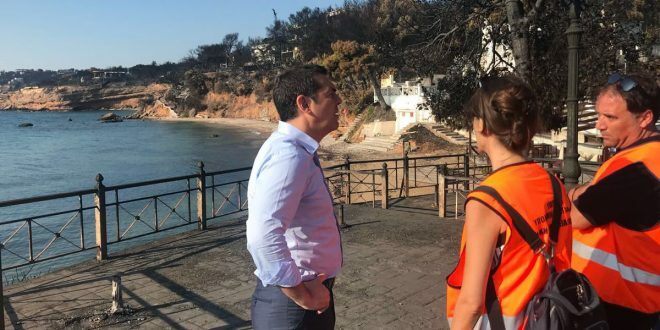 Prime Minister Alexis Tsipras visited the areas stroke by the deadly wildfires on Monday morning. Without having previously informed the media about the visit, the prime minister walked for an hour mainly in Mati and talked with locals, firefighters and volunteers. The Greek Prime Minister came under fire on weekend for not having visited the fire-hit areas so far.